This is a Mother's Day card. 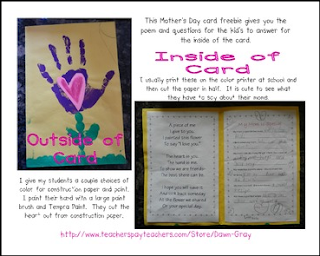 The download is a poem and questions for the students to answer about their mom. It is so cute to hear the little ones write about their moms. The picture shows what I do on the outside of the card. I hope you enjoy this freebie!